A brand new recording of all the Luther cantatas composed by Johann Sebastian Bach on 4 CDs. 2017 marks the 500th anniversary of the Protestant Reformation. Half a millennium ago, on 31 October 1517, Martin Luther launched this movement by posting his 95 theses on the door of Wittenberg�s Castle Church. Two centuries later, inspired by Luther�s words, & fully in the spirit of the reformer�s aim of spreading his theories via hymns, Johann Sebastian Bach composed what is probably the most significant body of cantatas based on Luther�s texts. 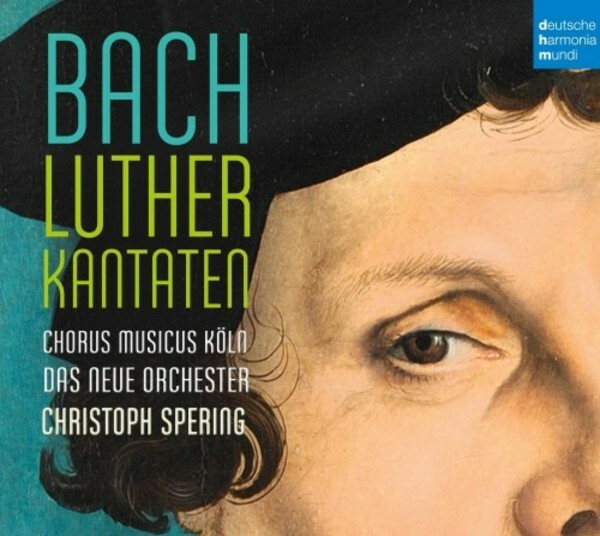 Now, in honour of one of the most important events in Western religious history, Christoph Spering, his choir Chorus Musicus K�ln and Das Neue Orchester have recorded Bach�s complete Luther cantatas.